WPP's data, insights and consulting company Kantar has appointed Microsoft exec Reed Cundiff as Chief Executive Officer, North America Region. He will join Kantar on May 1, replacing Wayne Levings, who is returning to the UK and continuing in his role as Head of Global Clients. 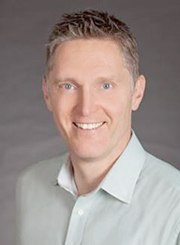 Cundiff (pictured) will join Kantar after fourteen years at Microsoft; the past ten of which, have been spent as General Manager of Customer and Market Research, responsible for the digital transformation of Microsoft's customer and consumer insights. Prior to this, he had a series of roles in the technology sector, as a Market Analyst and Consultant at Gartner and the Yankee Group, and as one of the founders of Compete.